Econo Holder Label Holders - 25pk - Shelving, Inc.
Econo Holder Label Holders are great for displaying your product or for organizing your storage space. 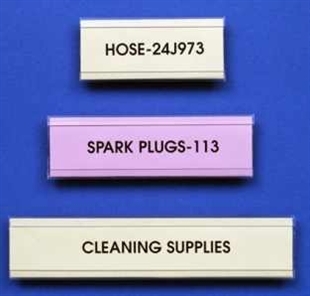 Give everything its' very own space with these handy label holders! Simply write your text on the white paper label and insert it into your label holder and you're ready to start getting organized.